Done with good ol' nib and ink well on vellum. 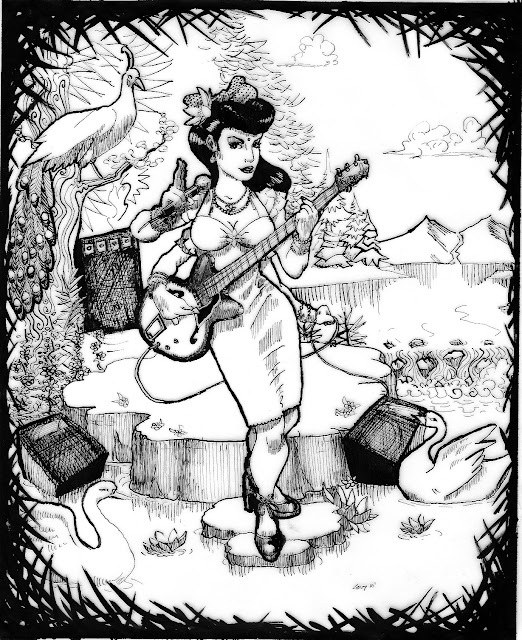 This is the Hindu goddess Saraswati if she were rockabilly. 8" x 10"